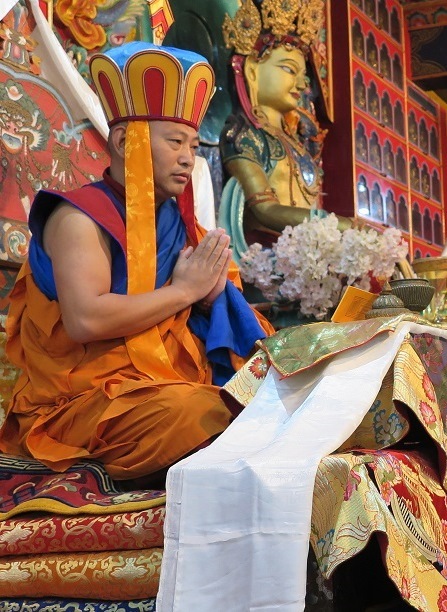 On the auspicious day of January 1, 2018, Geshe Dawa Dhargye was chosen as the 34th Menri Trizin: the throne holder of Menri Monastery, and the spiritual leader of the Bon religious tradition. The Menri Trizin was chosen in our ceremony called Tagdril (rtags sgril), which relies on the wisdom of the chief protector deities of Yungdrung Bon in making the proper selection. When the selection was completed, all the members of the Bon community around the world welcomed the new Abbot with flowers, and celebrated the fortunate occasion. Then on February 20, 2018, the anniversary of the birth of the founder of Menri Monastery, Nyamme Sherab Gyaltsen, we held a brief enthronement ceremony in which His Holiness the 34th Menri Trizin Lungtok Dawa Dhargye Rinpoche was officially enthroned on Nyamme Sherab Gyaltsen’s throne, a golden throne supported by images of five fearless lions. Because that ceremony was only a basic enthronement, we are now preparing to hold a more extensive enthronement ceremony at Menri Monastery. 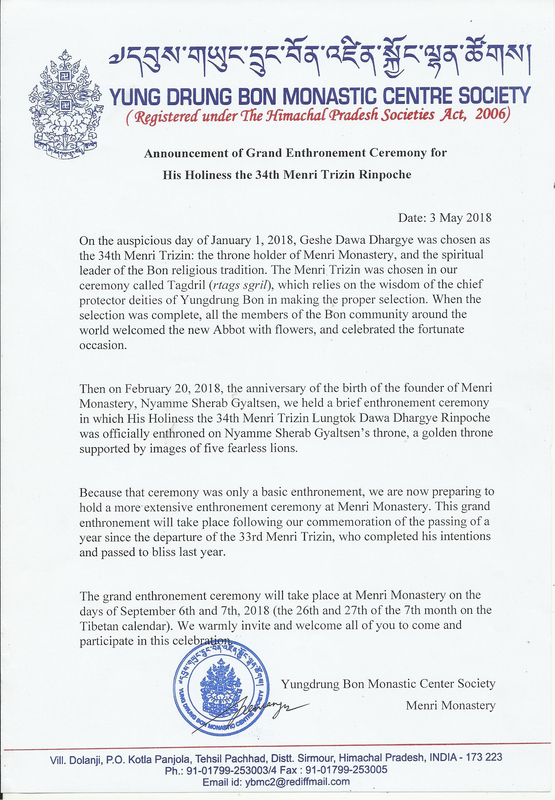 This grand enthronement will take place following our commemoration of the passing of a year since the departure of the 33rd Menri Trizin, who completed his intentions and passed to bliss last year. The grand enthronement ceremony will take place at Menri Monastery on the days of September 6th and 7th, 2018 (the 26th and 27th of the 7th month on the Tibetan calendar). We warmly invite and welcome all of you to come and participate in this celebration. On January 1, 2018, Geshe Dawa Dhargye has been chosen as the 34th Menri Trizin: the throne holder of Menri Monastery, and the spiritual leader of the Bon religious tradition. The traditional and authentic selection process of Tagdril involves the invocation of all the chief deities and protectors of Yungdrung Bon to “Request the Religious Protectors to Reveal the Truth”. For the selection of the 34th Menri Trizin, one hundred thousand offerings to Sipe Gyalmo were performed at the main temple of the Menri Monastery. The rigorous schedule of procedures for Tagdril began on December 21, 2017, and pursued while many prayers and offerings were carried out by Bon monastic communities across the world. 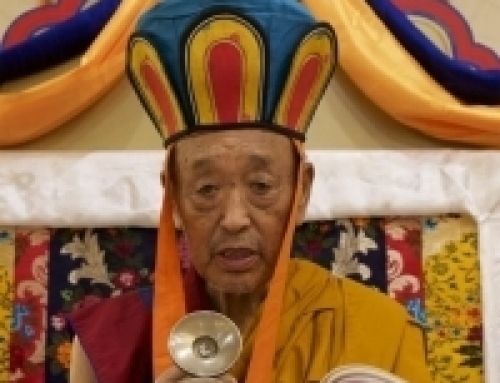 The selection was process completed on the morning of Monday, January 1st when Geshe Dawa Dhargye’s name was revealed as the new His Holiness. 34th Menri Trizin Dawa Dhargye Rinpoche was born on November 29th, 1972 in the Amdo region of Tibet where he became a monk in the Gamal Monastery at the age of 17. He met the 33rd Menri Trizin Lungtok Tenpai Nyima Rinpoche when he was 22 years old. From His Holiness, he received the Monk’s rules of Drangsong and his name of Dawa Darge Wangpo. 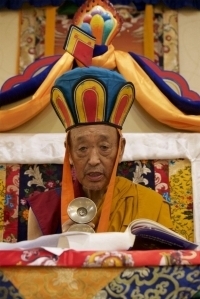 After he received his first Geshe degree from the Gamal Monastery, he joined the Bon Dialectic school in Menri Monastery where he received his second Geshe degree in 2012. Prior to his appointment 34th Menri Trizin, Dawa Dhargye Rinpoche played many important roles in Menri Monastery where most recently, he served as the general secretary of the Yungdrung Bön Monastic Center Society.